Have you ever struggled with “the guilty feeling” after enjoying your favorite drink because deep inside you know it’s not healthy and it won’t help you lose those pounds you have always wanted to lose? Wouldn’t it be nice to have all the flavor and power of your favorite drinks in natural juices in Puerto Vallarta? You may feel nothing can replace YOUR PRECIOUS DRINK, and that healthy drinks just aren’t your thing. You are not alone. We understand the struggle and want to help you succeed in enjoying a healthy balanced diet. 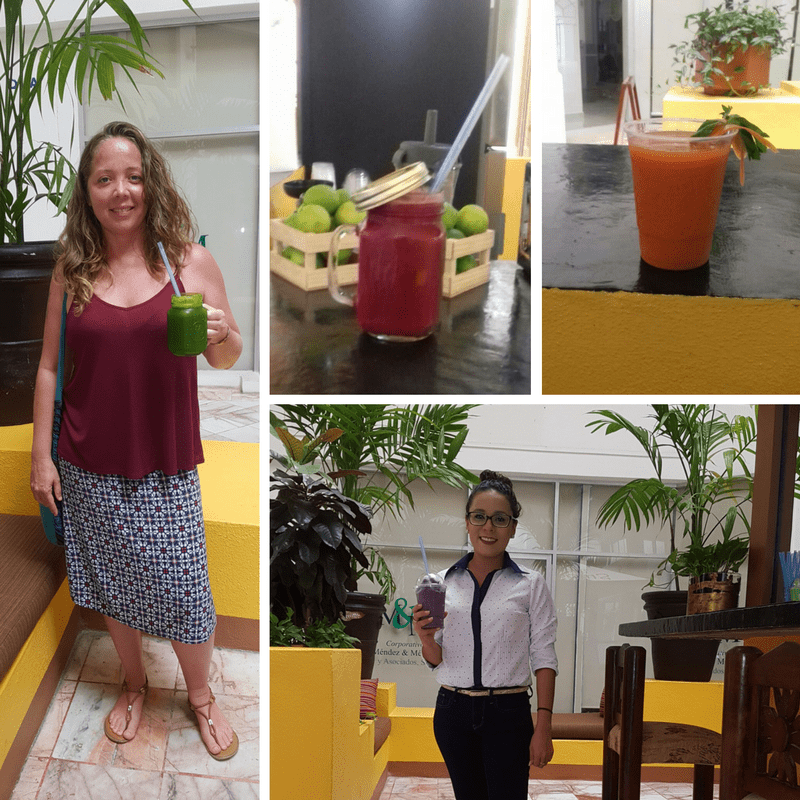 We have the perfect delicious and healthy treat for you: natural juices in Puerto Vallarta that will help you detox, feel fulfilled, and free of guilt. We understand, and that’s why are recommending the new Bio Bliss Bar. We have put together the perfect combination of our love with the healing power of holistic medicine to bring you ELIXIRS that will surpass your expectations and necessities. With what results? Your body will have the nutrients needed to energize you, help you focus, and give you the ideal metabolism you’ve always wanted to have. For this reason, Bio Bliss Bar in Puerto Vallarta prepares each elixir with the perfect mix of love and holistic juices from nature to heal you and safeguard your well-being. What natural juice do you like getting at the Bio Bliss Bar? These are some of the different combinations of holistic and natural juices that we have created for you at the Bio Bliss Bar in Puerto Vallarta. Focus: A delightful mix of blueberries, banana, date, almond milk, vanilla, almond butter, cinnamon (Açai, Siberian Ginseng). A rare antioxidant power-ups this elixir for sharp, clear focus, and the brain boost you need to perform your daily tasks successfully. Detox: parsley, beet, cucumber, celery, ginger, lemon (Chlorella, Aloe Vera). Beyond detox, this powerhouse fortifies you while it fights infections, bacteria, and life’s toxins. Chocolate Maca: maca, raw cacao, banana, orange juice, almond milk (Siberian Ginseng, Lucuma). A self-indulgent chocolate shake powered by a Superfood known to increase stamina and fight depression. Flu shot: Turmeric, Apple Cider Vinegar, Black Pepper, Alkaline Water. Anti-inflammatory: Turmeric, Lemon, Ginger, (agave/stevia/honey). Bio Bliss Bar has the best shots for you. These and other shots and natural juices have been carefully prepared for you. We want the different flavors from nature to explode in your palate and give your body the harmony it needs to be at peace. 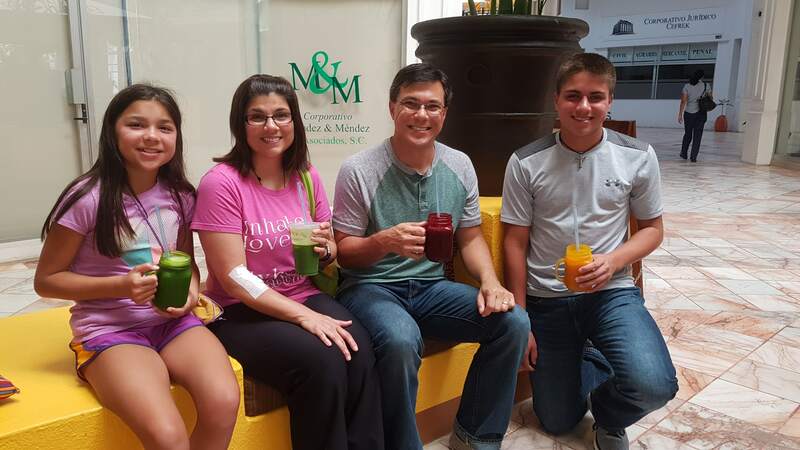 Different patients are already enjoying the delicious elixirs from Bio Bliss Bar. Come and see for yourself the exquisite and powerful effect it can have on your body. Let yourself be pampered! You decide who you want to share this amazing experience with! 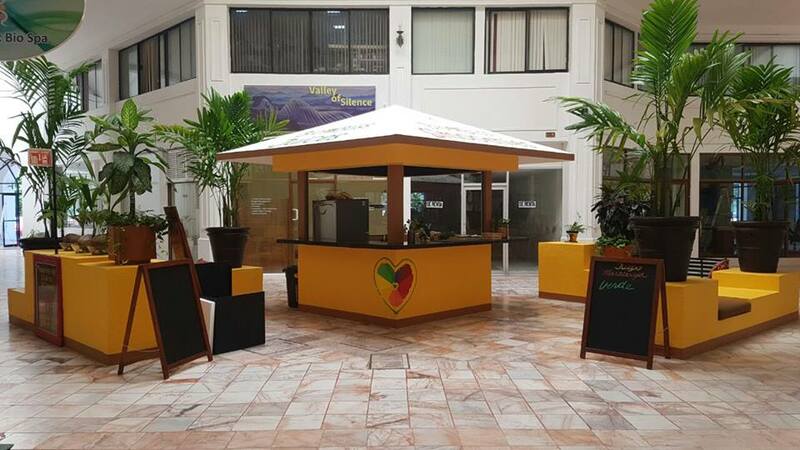 We are located in front of Holistic Bio Spa in Plaza Marina. One Response to "The Elixir that revitalizes YOU: Bio Bliss Bar | Natural Juices in PV"